Leggett studied judo with the intensity and commitment which he applied to every field of his life, becoming an accomplished judoka, revered teacher and the author of many books on technique. Whilst attaining the title of Shihan and eventual grade of 9th Dan, Leggett did not believe in glorifying title and grade level – skill was more important than the colour of one’s belt and there was no shame in becoming a beginner again. He would refer to ‘beginner’s mind’ as a state in which one could humbly look at a situation afresh free from prejudice and preconceived ideas. He believed in ‘Judo for life’ and applied the same philosophy derived from Yoga and Zen to his physical practice, drawing out the best in his pupils and encouraging them to better themselves. Leggett began meditating at the age of fourteen and as a young man of 23 he met his most influential teacher Dr Hari Prasad Shastri to whom he devoted most of his spiritual achievements for the rest of his life. When Dr Shastri encouraged him to go to Japan, Leggett studied and became fluent in Japanese and entered the Rinzai Zen temple of Enkakuji in Kamakura. Leggett’s book ‘The Warrior Koans’ or Samurai Zen brought together 100 rare riddles which had been guarded with reverent secrecy in Japan's Kamakura temples since the thirteenth-century. Representing the core spiritual discipline of ancient Samurai tradition they reflected the earliest manifestation of pure Zen in Japan. 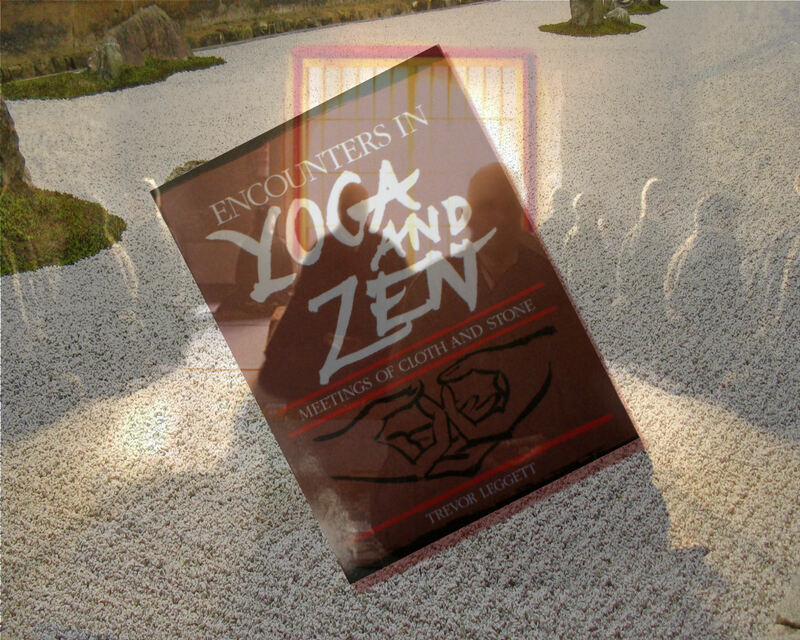 Like the ancient teachers of the Samurai, Leggett used analogies from the Martial arts in helping his students to achieve Zen meditation free of intrusive thoughts. In addition to his writing, he was also an entertaining raconteur who could hold a group spellbound by his tales of wartime exploits, his time in MI5 and in Japanese internment. In the BBC he would interview famous personalities from all works of life but he would never ‘boast’ or name drop. Much of his life he held as very private and his many achievements arose from hard work and against many obstacles which fact he did not broadcast. Many of us were aware of small aspects of his life and in producing this tribute we have tried to put together some of the pieces of the puzzle. Trevor Leggett published over 30 books and continued to write to the end of his life despite advanced age, failing health and blindness. Despite his prolific writings, he was largely camera shy and a dearth of visual material necessitated the use of reconstruction and animation in the telling of his story. Our graphics and animation are very much in keeping with the Zen tradition and illustrate some of his favourite stories and koans. ‘The Ways’ refers to the paths one might follow in life to lead to self fulfilment – for example the Samurai would follow the warrior way of martial arts, a Zen monk would follow a meditative ‘way’. Trevor Leggett, a polymath excelling in many fields, was supremely a man of the ‘Ways’. "We can learn a lot of other things from music. You do not hang on to a chord no matter how beautiful. You do not regret the end of a piece of music. The piece is played and comes to a natural end. In the same way a life is played." He would say that one may fear dying but that at the moment of death a doorway opens and as the dying looks through there is a smile … at last one can rejoice in ‘wearing new robes’. The original music in our production includes the title track ‘A Man of the Ways’ and closing credits with ‘New Robes’. ‘A Man of the Ways’ is a charitable non-profit production and is supported by the ‘Trevor Leggett Adhyatma Yoga Trust’ – whose mission is to publicise and disseminate Trevor’s teachings to all who would hear.